TIMEMUN 2019 will take place on February 17-19, 2019 at the Walworth Barbour American International School in Even Yehuda, Israel. 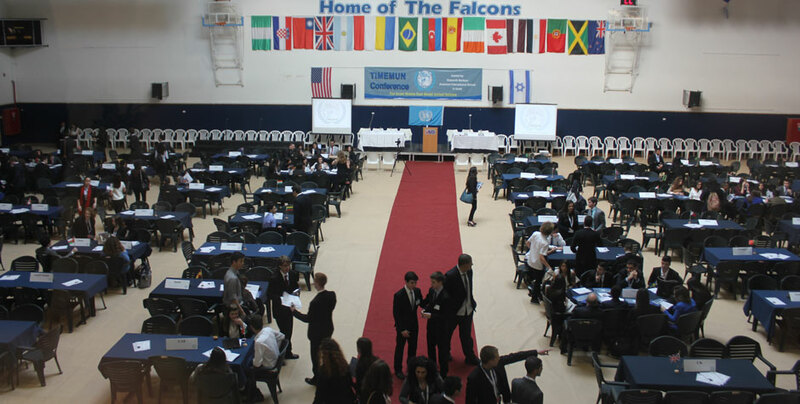 The Israel Middle East Model United Nations (TIMEMUN) is a student-led simulation of the United Nations that is in its 19th year at AIS. 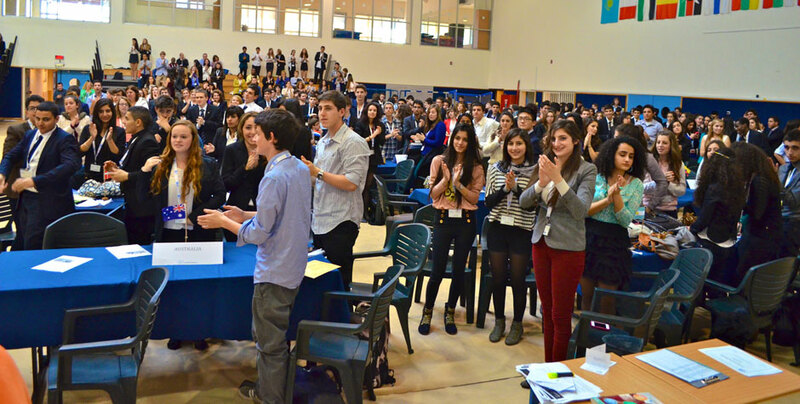 Last year, TIMEMUN hosted more than 600 students from Israeli and Arab schools, as well as participants from international schools. Model United Nation is an activity dating back more than seventy years when students held a series of Model League of Nations. 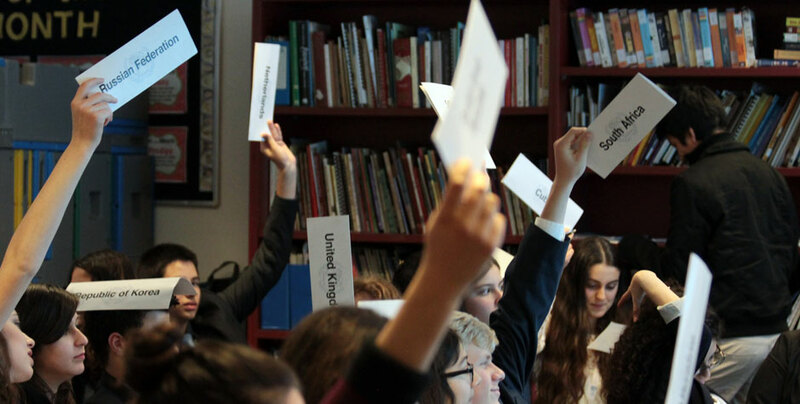 For more than fifty years, students around the world have simulated the UN. These simulations take different forms and are initiated for a variety of reasons. Most Model UN conferences follow a similar structure. Students prepare for the conference by researching their delegation’s viewpoint and devising a solution (resolution) for the issues of their committee. In conference lobbying, they work with a small number of other delegates to come to a compromise on their different solutions, and submit one official resolution for their small group. During debate time, these resolutions are debated by the entire committee and voted on. If passed by the committee, the resolution may continue on to the General Assembly where all conference participants debate it. Model UN is not just hard work. The conference itself has many enjoyable aspects, especially during lobbying and debate time. Social activities are also planned, and students quickly develop close friendships with their fellow delegates, some of whom may live in different countries. Established under the auspices of the American Embassy in 1958, The Walworth Barbour American International School in Israel (WBAIS) is a private, co-educational Pre-kindergarten through Grade 12 international school offering an American program leading to a US high school diploma. WBAIS has four levels: Preschool, Elementary School (Grade K-5), Middle School (Grade 6-8), and High School (Grade 9-12). The first year of formal, full day education begins in Kindergarten. With a present enrollment of over 600 students representing over 50 nationalities, we are a diverse and vibrant community. Approximately 40% of our students are Americans, 20% are Israelis and the remainder hail from countries from all over the world. Many of our families are in Israel with the diplomatic corps, but a substantial number of families are here with multi-national companies. October 1, 2018: Register for the Conflict Resolution Program.